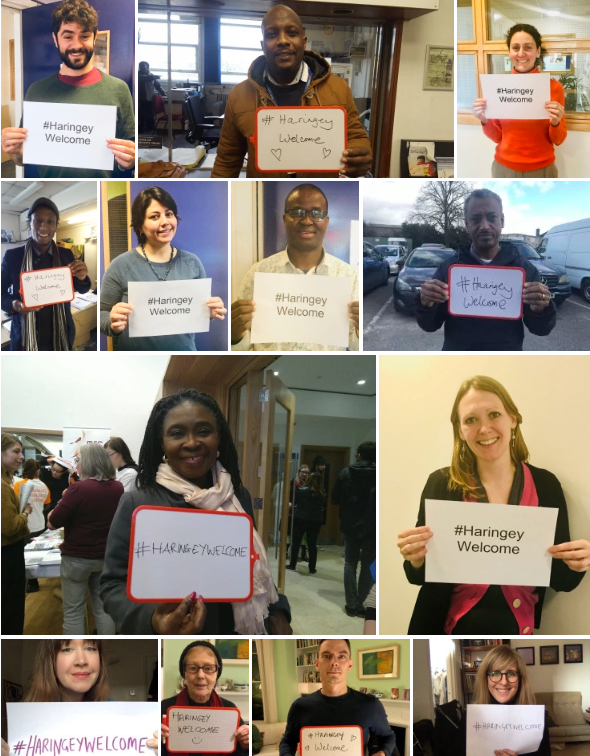 Local residents, organisations, elected representatives, schools, and faith groups are invited to join Haringey Welcome and the local MPs, council candidates and organisations listed below in making our Borough an inclusive, just and safer place by signing up to the Haringey Welcome pledge. Haringey is one of the most diverse Boroughs in London, with a long and proud tradition of welcoming refugees and migrants, many of whom have made a considerable contribution to our society. The former Tottenham MP – the late Bernie Grant – is just one notable example. Since 2015 we have witnessed the forced movement of people across the world, due to wars, poverty and persecution. Many volunteers, community and voluntary organisations, faith institutions and schools in Haringey have been working together to make the Borough a welcoming and safe place for those fleeing poverty and persecution. Thousands have supported the Refugees Welcome Haringey movement and joined the campaign to welcome Syrian families to our area via the Government’s Vulnerable Persons Resettlement Scheme. The residents of Haringey are calling for the Borough to continue to be a welcoming place for everyone who has come here to live, study, work, seek sanctuary and join family, whether we’ve lived here for decades or have just arrived. Long-term residents as well as asylum seekers, refugees and migrants should be treated with dignity and respect. 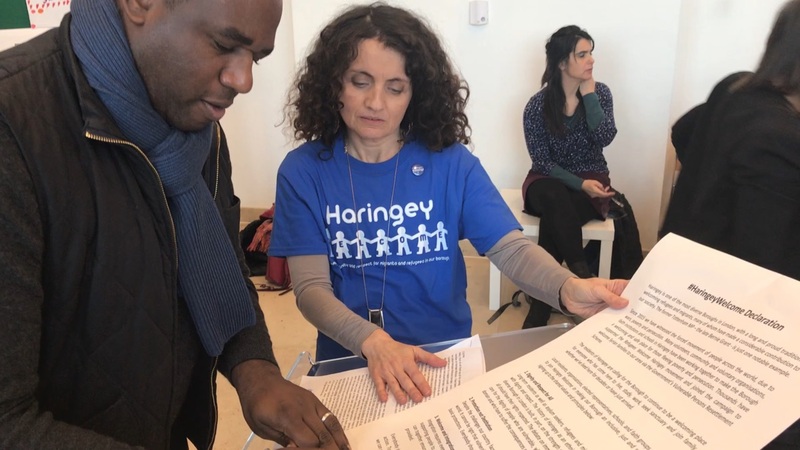 The history of Haringey as an ethnically, racially and religiously diverse Borough in London is built, in part, on the strength of its migrant communities, and all should have their rights respected. The debate on immigration should be conducted with care for the dignity of people who are vulnerable, who do not have a voice in the public domain and who have to suffer the consequences of inaccurate and inflammatory language. Despite the challenges our country faces, London is still one of the richest places in the world. It cannot be right that vulnerable people are forced into destitution and left without basic protections. Everybody should be treated justly and fairly. Integration requires everybody to play their part in making Haringey a place of welcome and supporting people to participate in the local community. The Council and local civil society can together ensure that good processes are in place and integration services are properly provided. Everybody in Haringey is invited to join the effort to translate these principles into effective action. Together, in our organisations and communities, our faith institutions and schools, we can make Haringey welcoming to all. Add your voice to the pledge by signing below.